Recently I came across an intriguing selection of Hot New Releases in paper crafting books on Amazon. After sharing the list with a paper pal who responded enthusiastically - "Ah! What a treasure trove! I promptly sent my local library this list to purchase. They love people like me making official requests so they can expand their offerings." - it occurred to me you might enjoy hearing about them too. 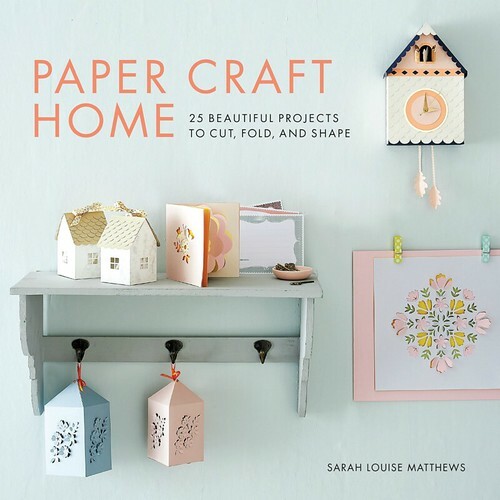 First up, Paper Craft Home: 25 Beautiful Projects to Cut, Fold, and Shape is a paperback by Sarah Louise Matthews, a designer whose work I've often admired. In fact, you might remember her from this popular post. Due to release in the U.K. on June 1 and in the U.S. on July 17, it can be pre-ordered now and includes pop-up card projects, cake toppers, lampshades, fairylights, a geometric vase, along with other ideas. Templates are included for the more complex designs. 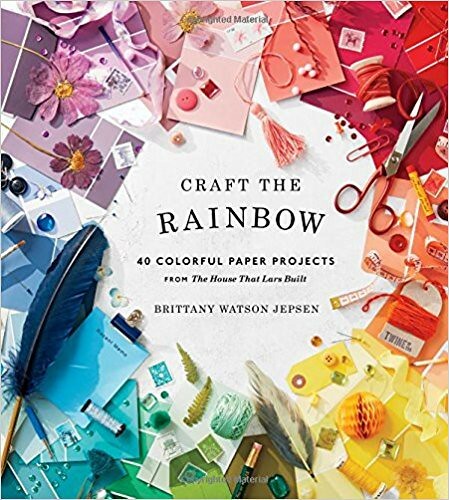 Craft the Rainbow: 40 Colorful Paper Projects from The House That Lars Built is a newly released hardcover (a Kindle version is available too) of projects by Brittany Watson Jepsen, another paper compatriot whose ideas have been featured on this blog a couple of times... remember this clever hat and paper narcissus? The book includes party decorations, flowers, cards, wreaths, garlands, and centerpieces. 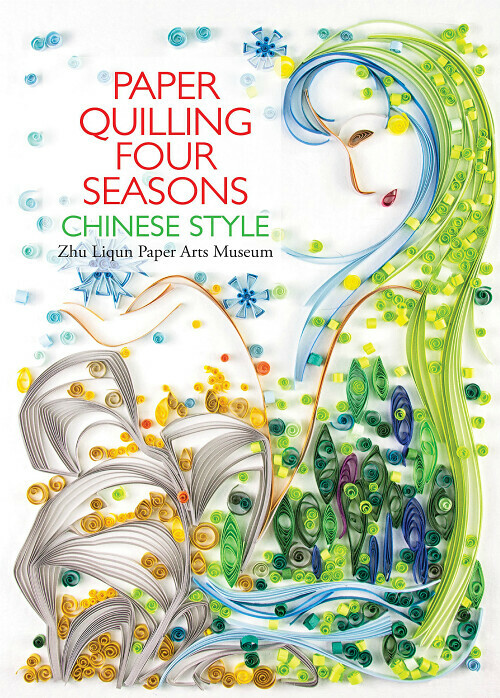 Paper Quilling Four Seasons Chinese Style is a hardcover and the second quilling release from Zhu Liqun Paper Arts Museum. The designs almost resemble brush strokes... ethereal and with the look of paintings. Instructions guide you through recreating the included pieces and designing your own. 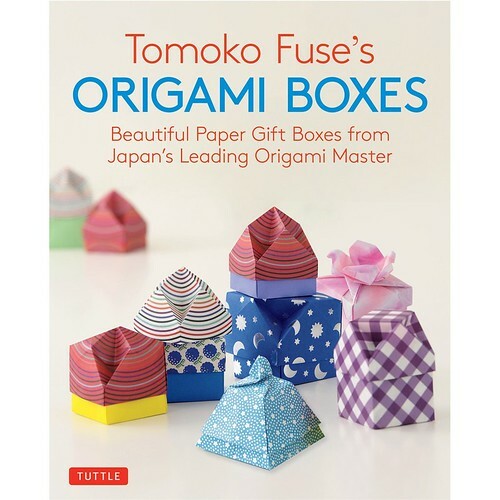 Tomoko Fuse's Origami Boxes, available in paperback and Kindle formats, looks right up my alley as I love a folding project that results in something useful. Origami expert Tomoko has included step-by-step instructions and diagrams to lead us from the construction of a simple, flat box to more complex designs, such as pyramids and boxes with windows and spiral tops. 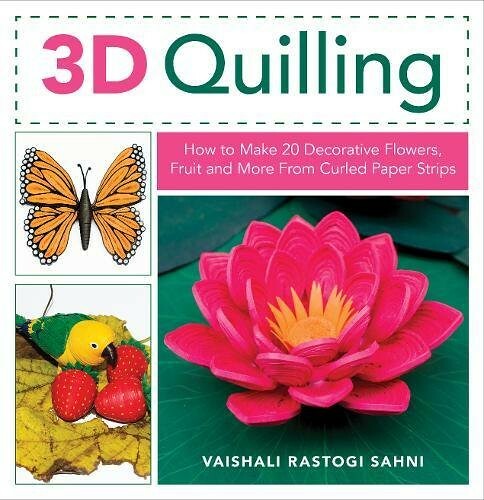 Dimensional figures are popular with many paper quillers, and so 3D Quilling: How to Make 20 Decorative Flower, Fruit and More from Curled Paper Strips will fill a niche come October 1 when this paperback is released. Vaishali Rastogi Sahni instructs beginners on the making of nature-inspired figures - though I must say not nearly as detailed as the ones you'll find in her Etsy shop, Kagaz Kala Creations - those are truly something to see! 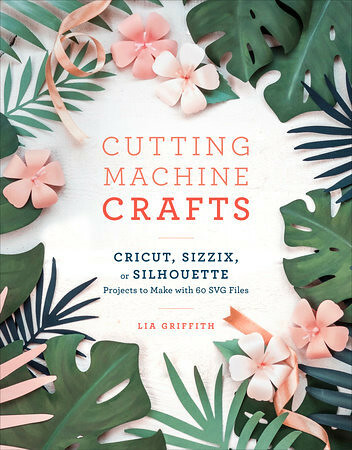 Well-known paper crafter Lia Griffith's newest title is Cutting Machine Crafts with Your Cricut, Sizzix, or Silhouette, available in paperback or Kindle format. It sounds like just the ticket for those of you who are looking to do more with your die cutting machines... you'll find 50 projects and 60 templates for making home accessories, party decor and gifts. Advice is included for those who prefer to cut by hand. And since we're talking paper craft books, I'd be remiss to not include my own titles. 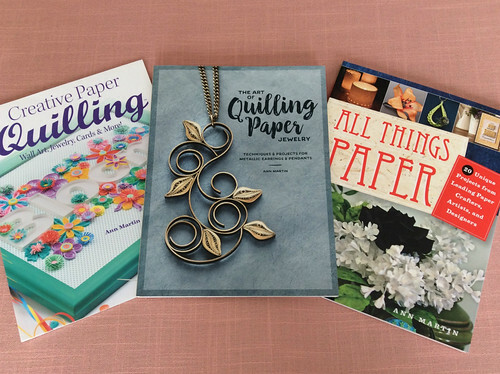 If you've been tempted to make quilled jewelry, you might be interested to know that each book includes step-by-step jewelry projects, not just my newest, The Art of Quilling Paper Jewelry. 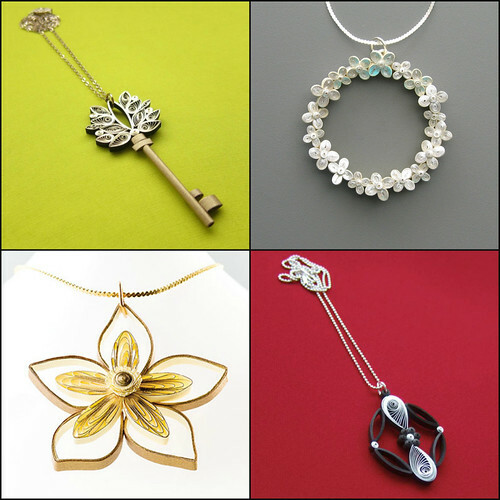 Here are some examples of what you'll learn to make... durable, gift-worthy designs. Hi Karen, thank you! I'm glad you enjoyed the post. You sound like me... I always enjoy hearing about what's new too. I have been waiting for the 'Four Seasons Chinese Quilling' for a while now, but still not in stock on Amazon. I love experimenting with paper and trying out new crafts. I enjoy reading your blog Ann, always lots of really stuff! Thanks Genevieve! Aw, that's too bad it isn't in stock on Amazon UK, but you might try Book Depository. It looks to be available there. Free shipping too.